बीआई उपकरण शेयर बाजार 2017 – the BI market continues to grow as companies invest in data related technoligies to gain competitive advantage. 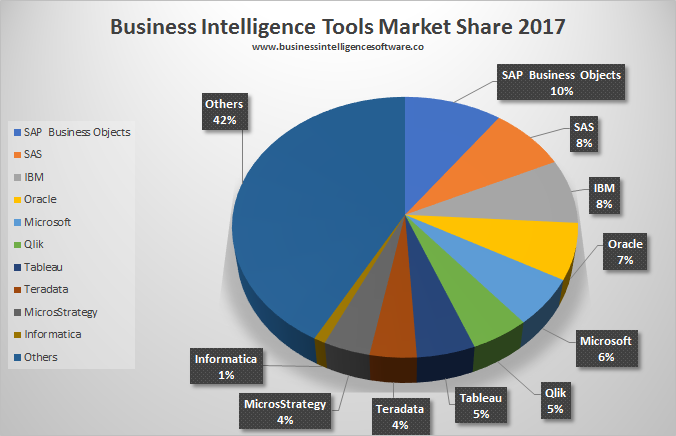 The BI tools market is forecast to be worth USD 13 billion by end of 2022 driven as usual by the explosion in data and need for data related insights. Microsoft seems to be the main mover up 1% in terms of market share with SAS down 1%.